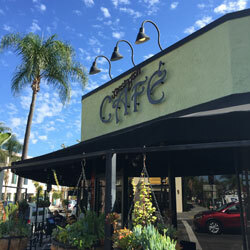 Kensington Cafe is located in Kensington. Imagine that. Kensington is a beautiful area of San Diego that unfortunately by many gets forgotten amongst the abundance of beauty this city has to offer. Kensington is located just southeast of the 15 and 8. 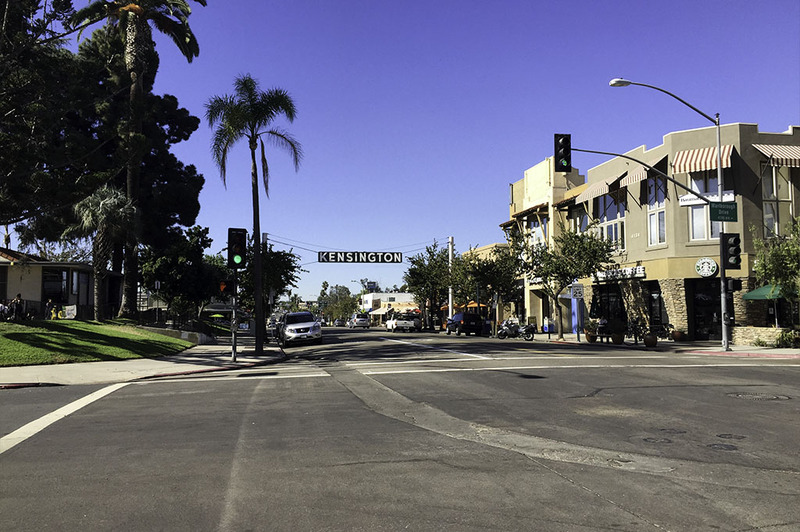 I live and work in La Jolla and it seems like I find myself too comfortable in my own hood sometimes. I do get out and around the city, but find myself more coastal and downtown than anywhere else. So visiting Kensington twice in one week is unheard of from this guy, but it happened and I can fill you in on a little secret… it will happen again. 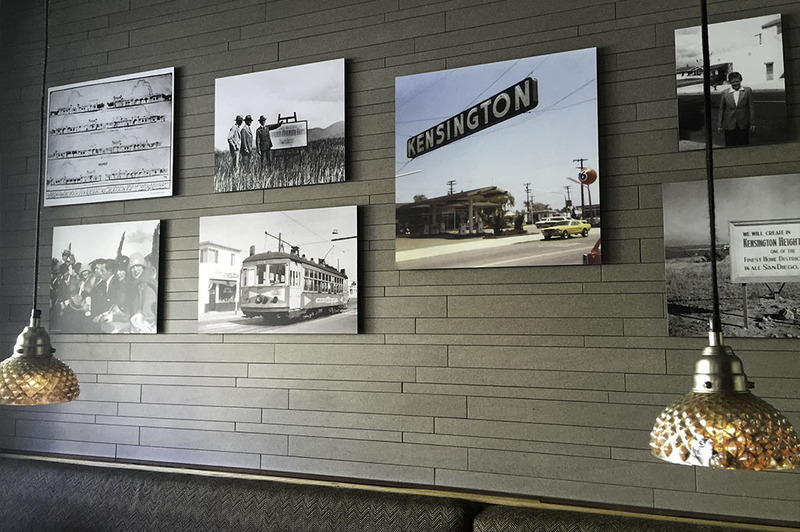 The first thing I have to tell you about is the historic Kensington Sign and you can see it from the Kensington Cafe. What a beautiful landmark that lets you know you’ve reached a place that time has forgotten in many ways. You get a fresh feeling of friends, family and community here. 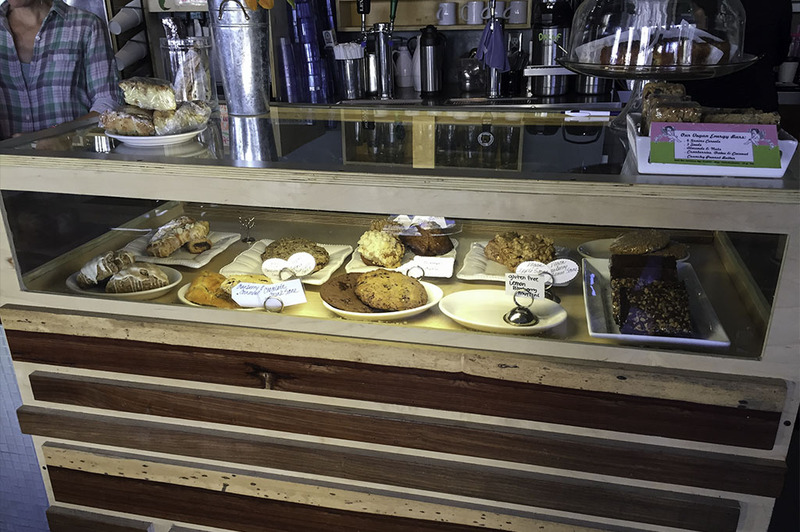 When I walked in my senses were completely overwhelmed with the aroma of roasting coffee beans and baked sweets. Let’s just say it felt like home. Home is good. So we had already decided to play hookie on Craft Beer Friday (which is every Friday by the way, thanks to our Uber rides). And since we were on this side of town we thought we would pull our classic brunch at the Kensington Cafe. Not the traditional brunch where you enjoy a late breakfast. 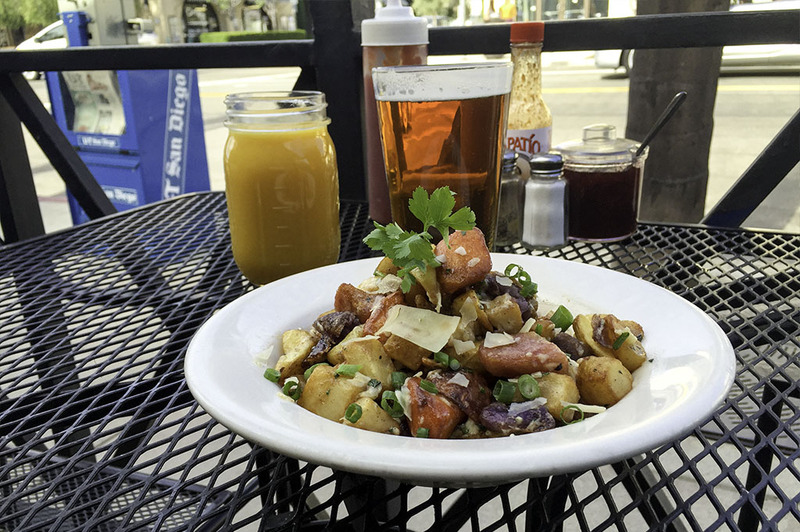 I’m talking a Good Eats San Diego Brunch that consists of breakfast craft beers and then lunch. 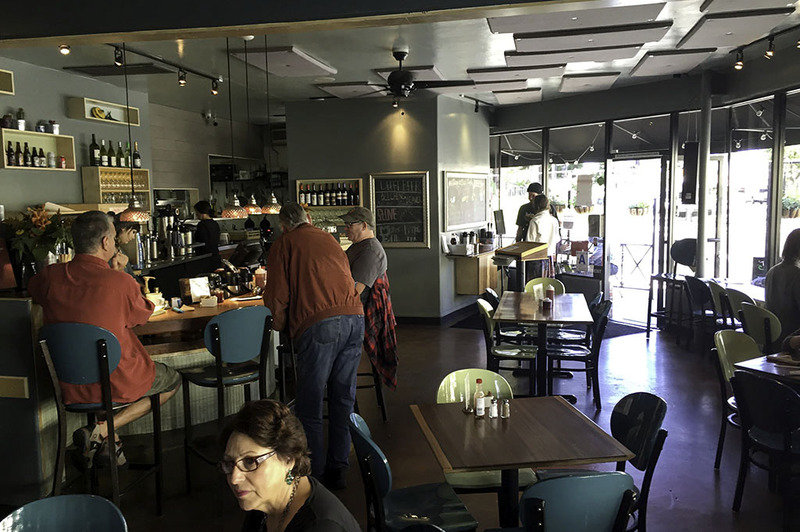 You need to know that Kensington Cafe is a pretty cool place for the Good Eats San Diego Brunch! Just check out the photography. 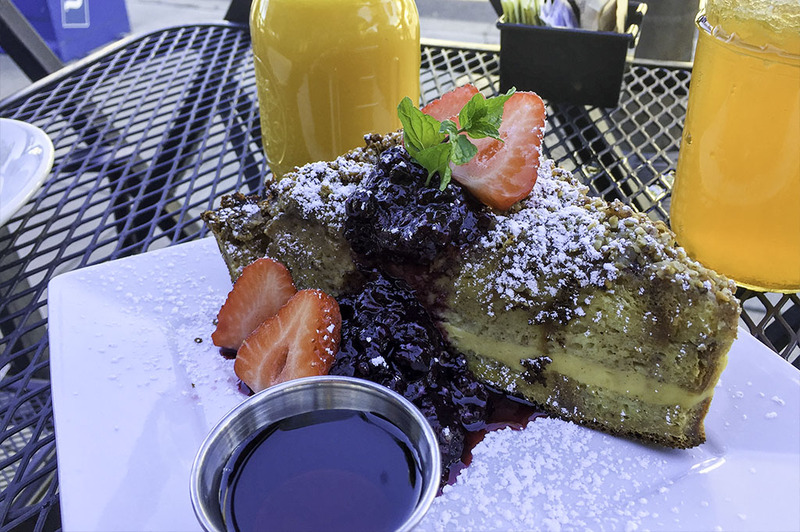 So first up for sure was the Baked French Toast with streusel, berry compote and walnuts. 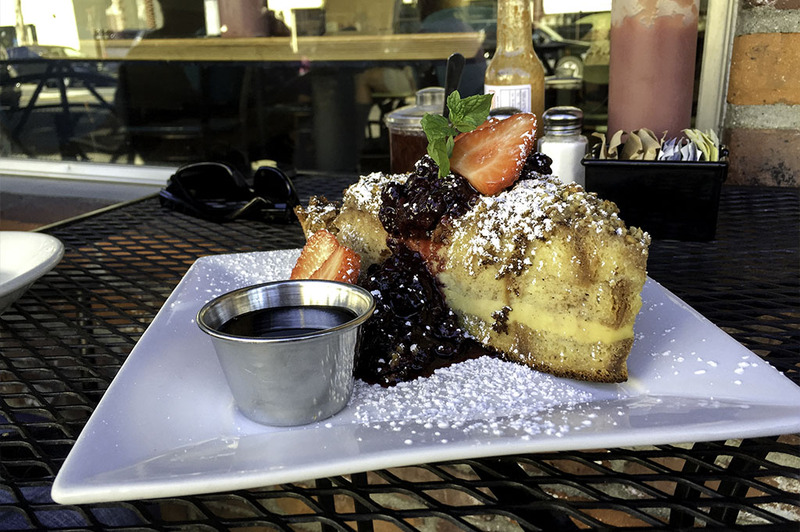 I had heard many good things about the Baked French Toast and it did not disappoint. It really resembles a dessert, which is just fine. 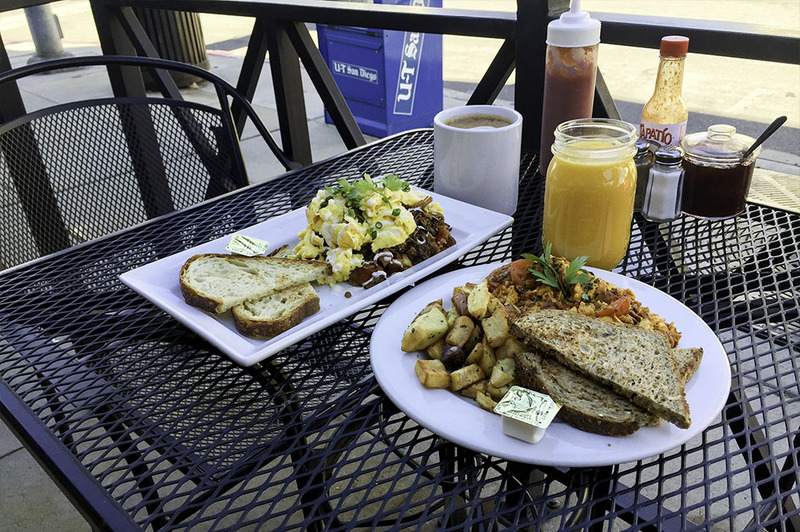 And we also ordered the Spanish Revival which is soyrizo, cheddar jack, tomatoes, green onions & cilantro. 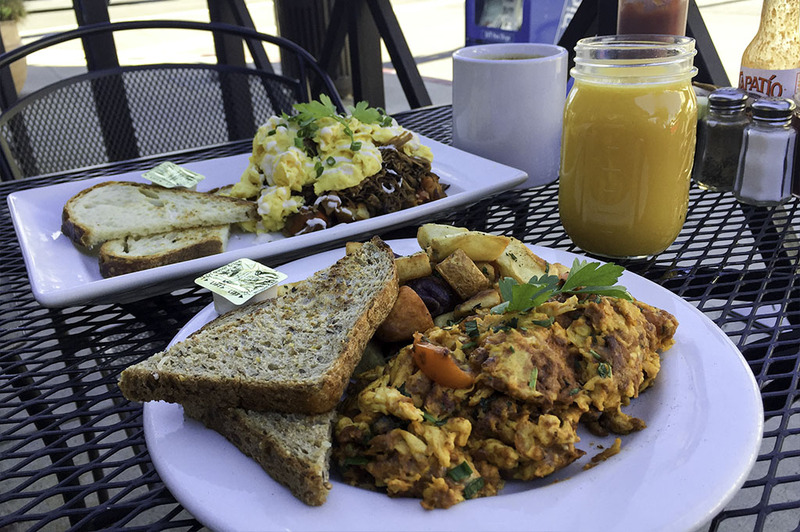 I could not believe this vegetarian breakfast was made with Soy. I absolutely love Chorizo and the Soyrizo was a great alternative. Not as rich as chorizo, but with the same great flavor. 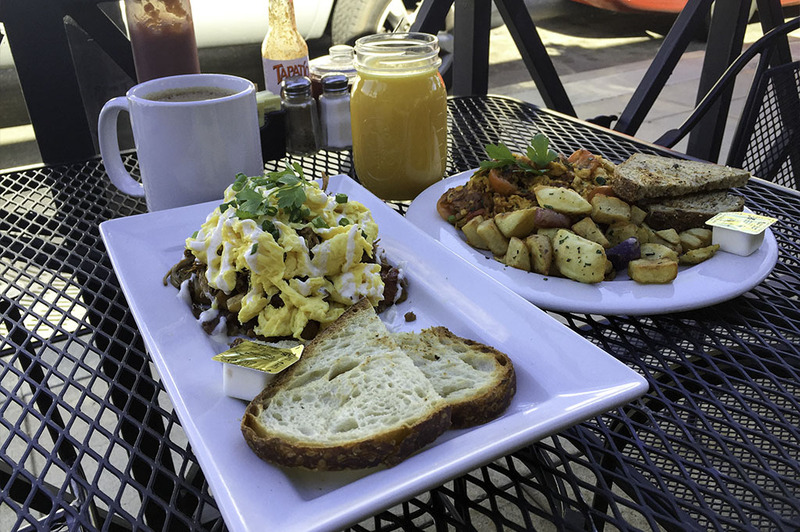 The Pulled Pork Hash was outrageous! 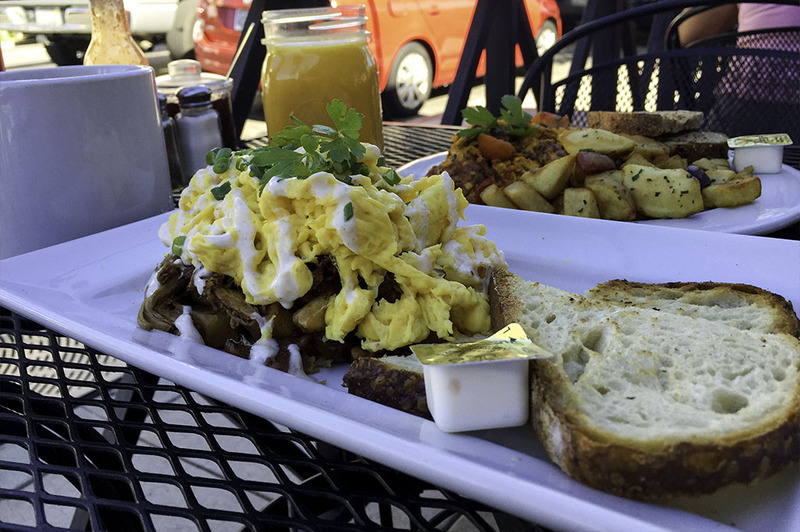 Made with pulled pork – pulled pork and spiced potato hash topped with scrambled eggs, crema and green onions. Check out the photography and just try and imagine what you get in one bite. Jessica our lovely server loved the Good Eats San Diego Brunch idea. She let us know that even though we ordered a couple of Mother Earth IPA’s, that we had to try the Kensington Cafe Specialty Mimosa. Try we did. We didn’t have to try and finish them, they seemed to disappear with ease. Wow, this was the most unique Mimosa I have ever had and I highly recommend you try one. 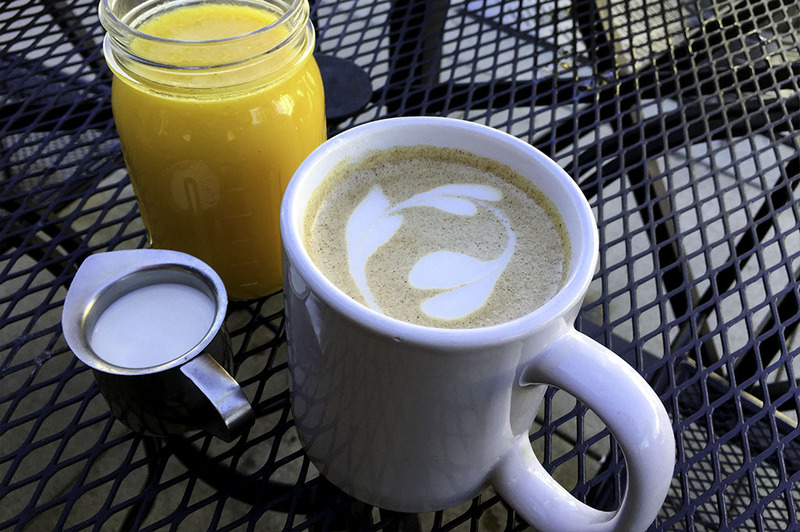 The Kensington Specialty Mimosa consisted of Champagne, cinnamon, cloves, apple and orange. Jessica let us know that they switch it up seasonally. Well let me know when you change it up again Jess… we will be back to try the next one! As we finished our Mother Earth IPA’s we sat around on the patio and chatted it up with some locals that let us know they come here daily. Not a bad idea, everyone was really friendly and as a lot of the traffic from breakfast was leaving it gave us a chance to meet Lauren, one of the owners. She gave me some recommendations for our lunch portion. This was great, but we had already made up some decisions, so this was going to be a large lunch. Looks like leftovers, which is never a bad thing from the Kensington Cafe. 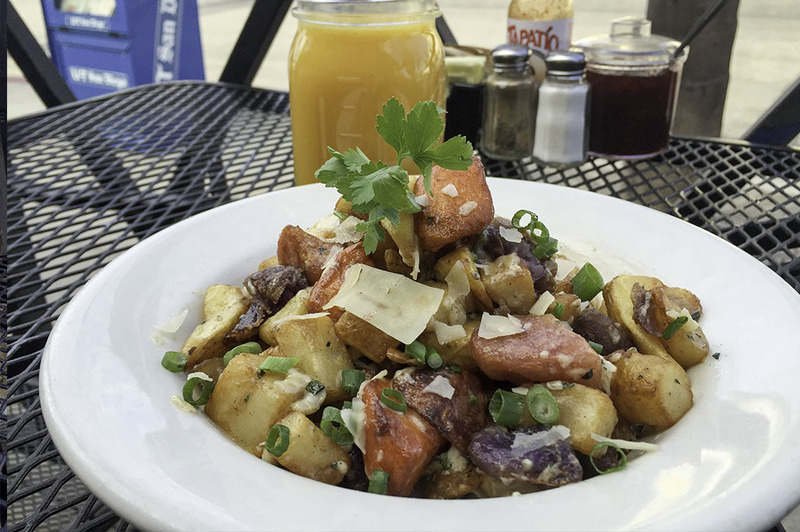 We order a couple of more craft beers and the Papas Calientes, house potatoes tossed in a spicy aioli sauce with parmesan and green onions. And since the soyrizo was so good, I decided to get The Vegan Power Salad which was lime toasted pepitas, quinoa, sunflower seeds, carrots, cucumbers, tomatoes and avocado with cilantro-lime dressing vinaigrette. I am a salad guy and love one with just about every meal and this salad was great! We decide to split three different sandwiches, so we would get a good feel for the variety. All were awesome. 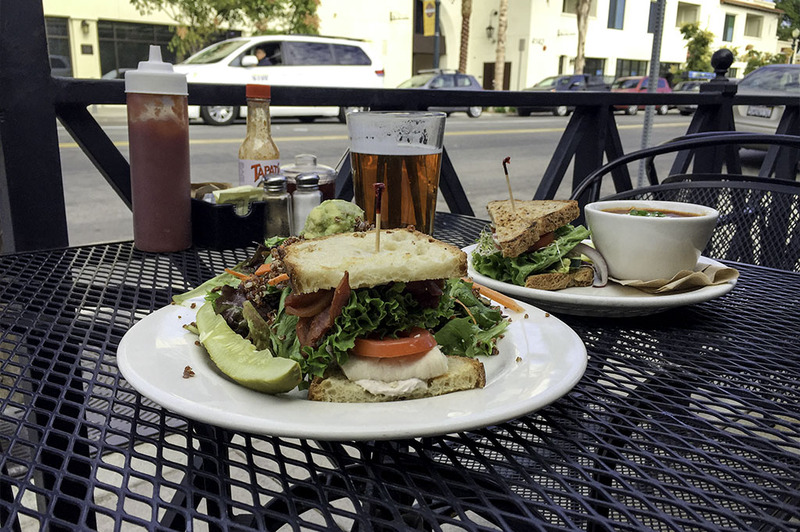 We enjoyed The Adams Ave with bacon avocado, cucumbers, tomatoes, lettuce, red onions, sprouts and green goddess spread on wheat. 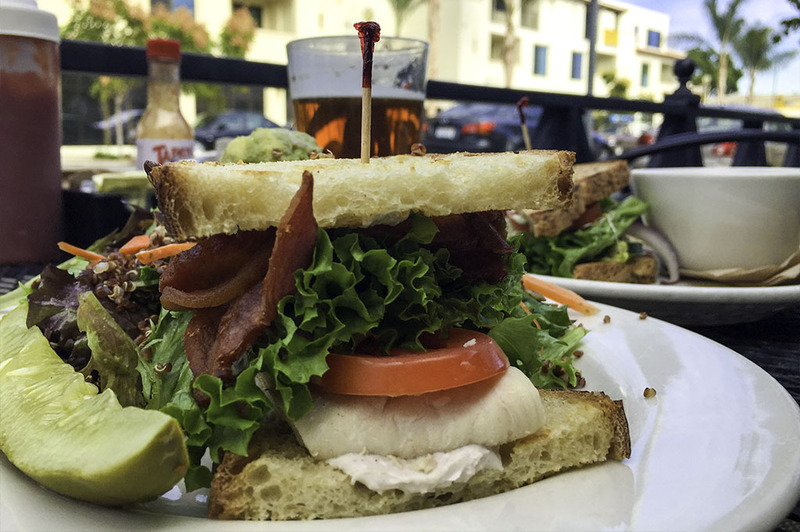 The Ken Club was a traditional club sandwich with turkey, bacon, lettuce, tomato and gorgonzola spread on sourdough. 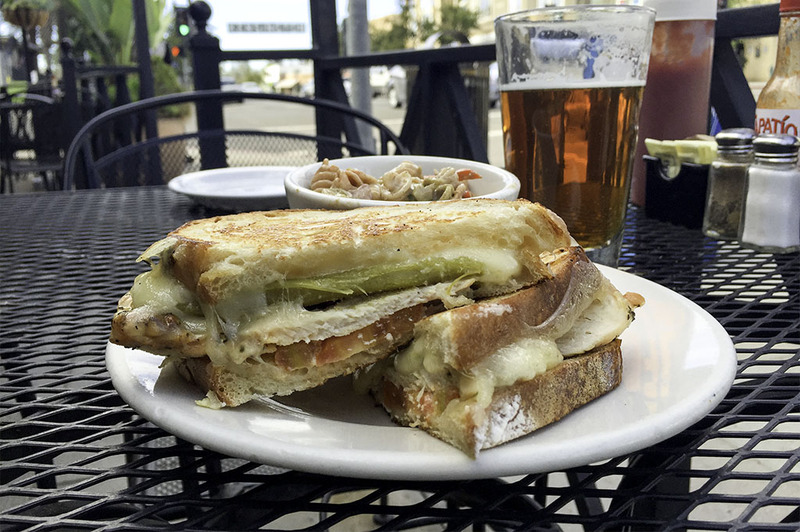 The Montezuma had grilled chicken, Swiss cheese, green chilis, tomatoes and spicy aioli on sourdough. We had the Veggie Chili as our soup and it was served with baguette. cheese, crema & green onions. My favorite was the Montezuma, but I recommend all three depending on your mood. 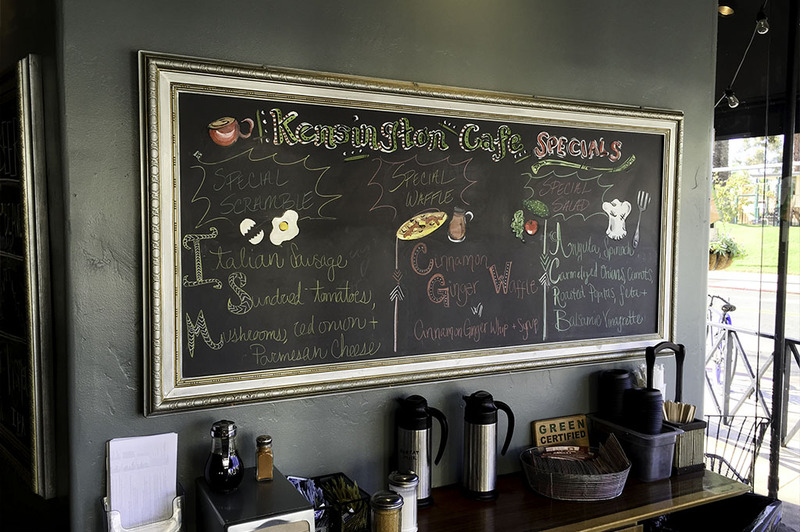 The Kensington Cafe has wonderful sandwiches to say the least. If you have been following my reviews very long then you know how I feel about desserts. No meal is quite finished without them. I expected nothing less from the Kensington Cafe, so I asked our, now good friend Jessica, what she suggested. 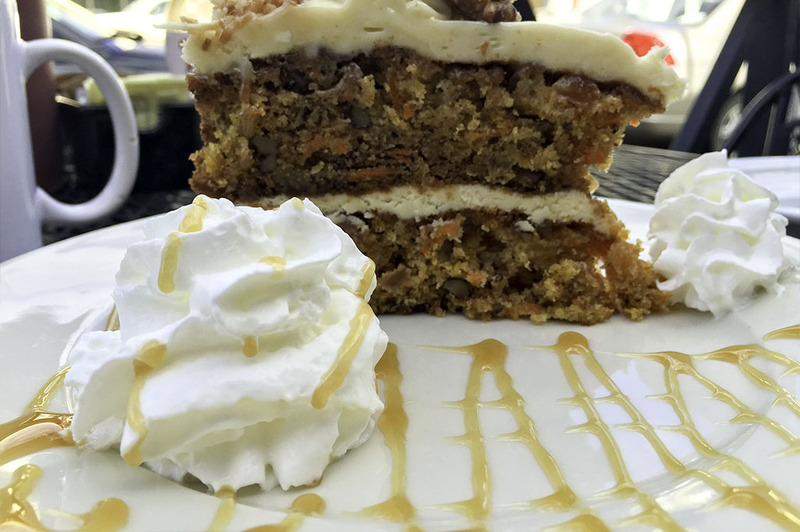 She let us in on the fact that the Homemade Carrot Cake was where it’s at. So we headed that way and man I tell you what. 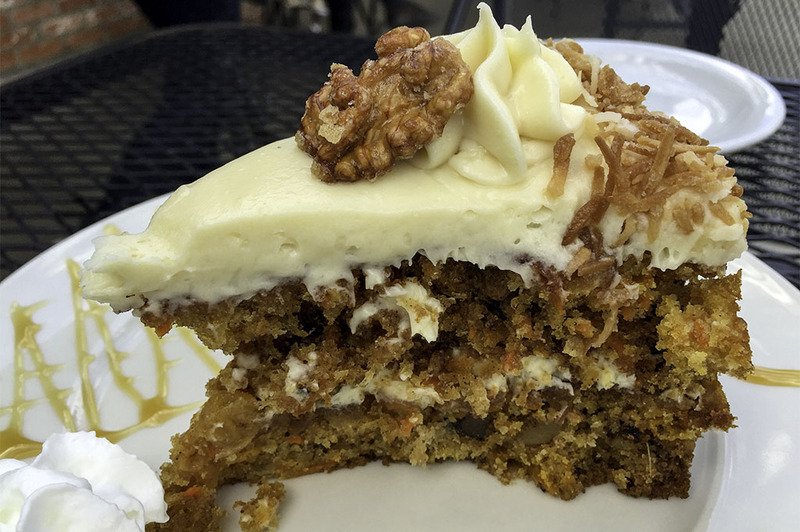 I hadn’t enjoyed a piece of carrot cake in a while. The cream cheese icing was a real standout, so creamy! This four hour extravaganza was now coming to a close. I’m not very keen on final credits, this means it’s over. I wish this meal could go on for days, but I guess all good things must come to an end. 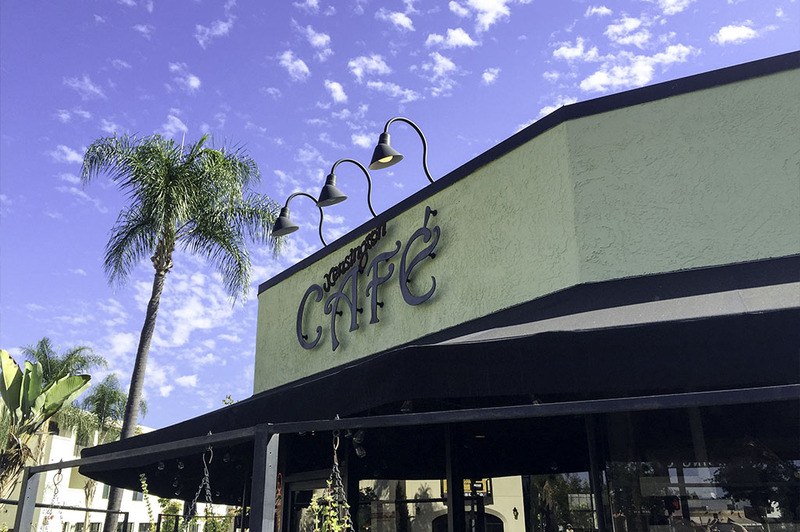 We will be back to the Kensington Cafe!